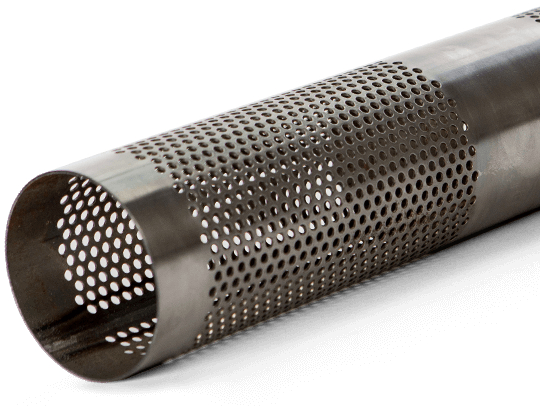 Beverlin Specialty Tube provides perforated tubes and cores for exhaust, filtration and welded assembly solutions for various industries worldwide. 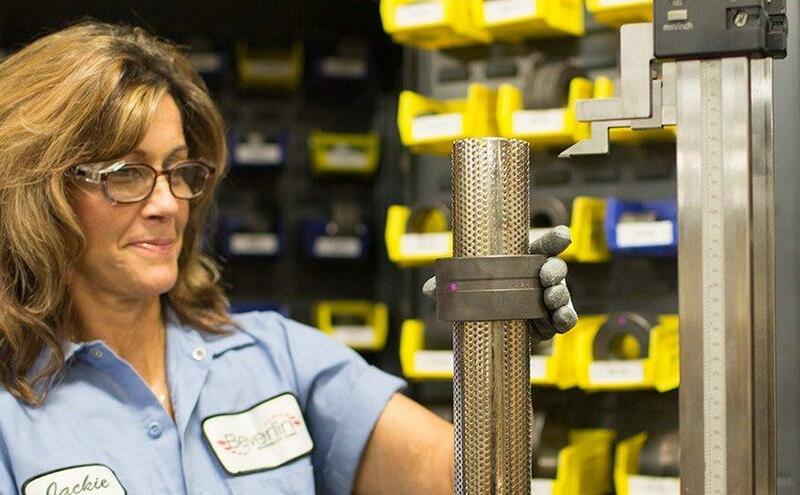 For over 40 years, Beverlin has been a leader in the design and manufacturing of high-quality perforated pipe and tubing for automotive, oil and gas, defense, nuclear, aerospace, and industrial applications. 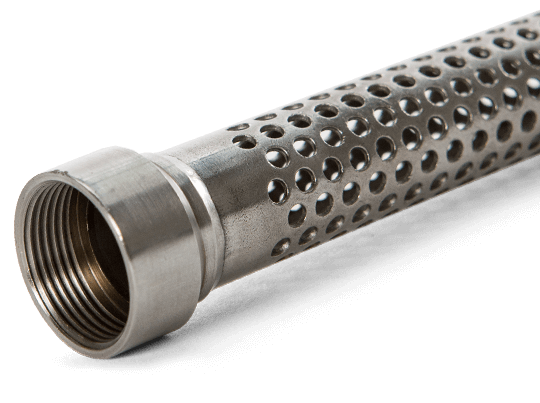 Founded in 1976, Beverlin is the recognized global industry leader in specialty perforated tubing, perforated cores, specialty tubing and assemblies. While our focus has changed and expanded throughout the years, our commitment to exceptional customer service and producing precision-quality perforated products has never changed. 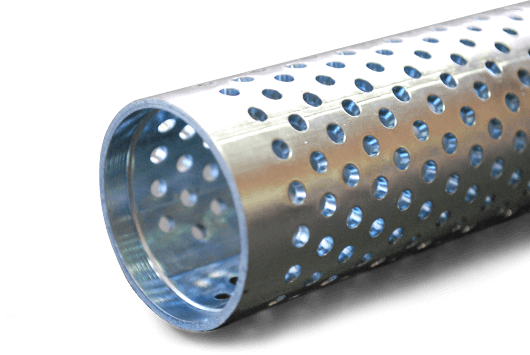 Beverlin has a well-earned reputation as a leader among perforated metal tube manufacturers and for meeting customer standards, specifications and schedules that competitors cannot. Our team works closely with our customers to find the right plating and finishing options, perforation patterns, and other specifications that meet their needs. 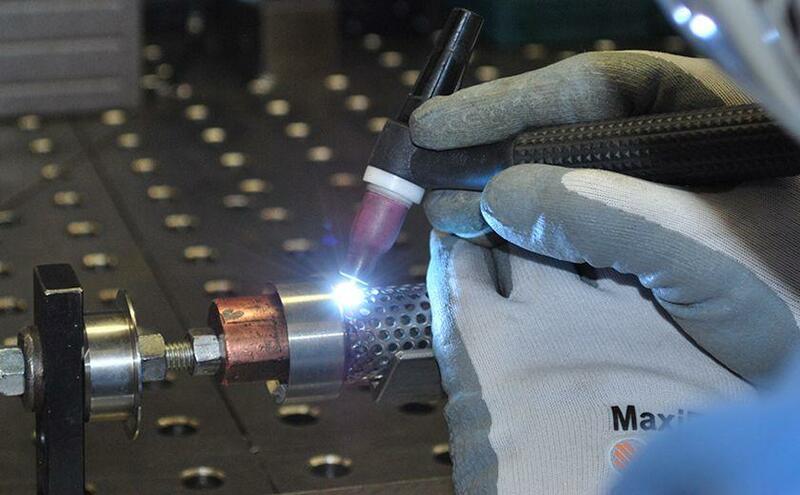 Our customer focus extends even further, as we offer turnkey solutions, in-house tooling and ISO 9001:2008 certification which sets us apart from other perforated tube manufacturers and suppliers. With decades of experience, we know what it takes to meet and exceed the demands of our customers, and we hold ourselves to the highest standards on every facet of every project we undertake from shipping first articles to production to packaging all the way through to accounting. 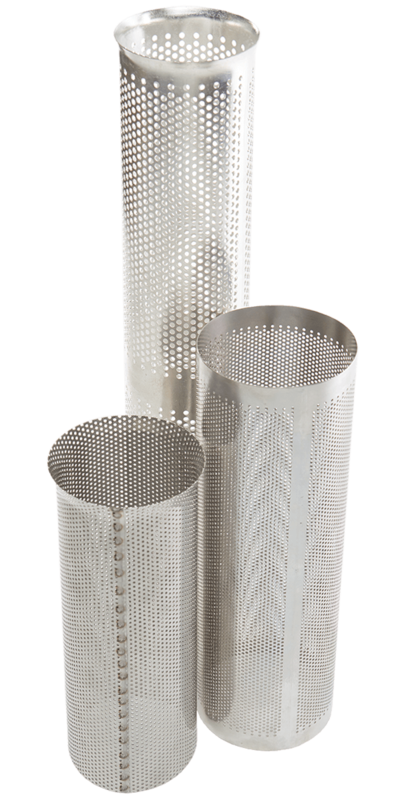 We offer an exceptional line of perforated exhaust tubing, filter cores, flanges, and strainer baskets. 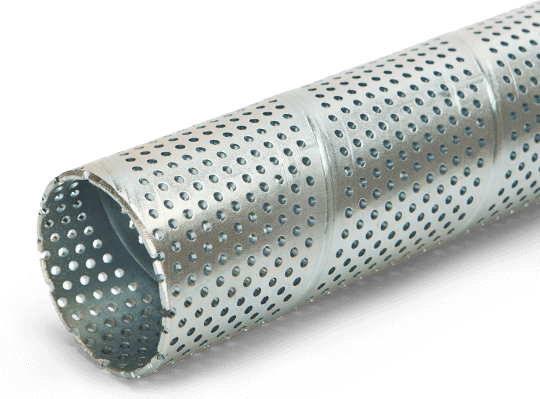 We offer nearly any perforation pattern and hole size and can create custom perforation patterns as well. We also offer a wide variety of plating and finishing options whether you need something standard or in special finishes. These options include zinc plating, bright tin plating, electropolishing, phosphate coatings, industrial washing, ultrasonic cleaning, heat treating, and anti-rust. 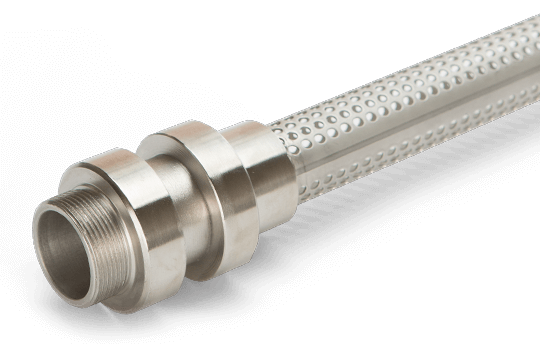 We also work with a variety of materials including stainless steel, carbon steel, aluminum and specialized alloys from 0.018” to 0.12” thick. For a full list of our products and capabilities, check out our products page. Are you an engineer with questions about perforated tube production or the right products to fit your design? If so, contact us to speak to one of our experts. You can also learn more about the Beverlin difference in the words of our clients on our testimonials page. Beverlin has a global reach that has made us the go-to company for perforated tubes, cones and welded assemblies around the world. We offer state of the art products and solutions to go along with our complete dedication and focus on the success of our customers’ projects. Our aim is to truly become an industry partner to our clients to help define and deliver applications that best meet their needs. We provide a full range of value-added services that make your job easier — from concept to tooling to complete core assembly with just-in-time delivery. We'll be your one stop solution provider. 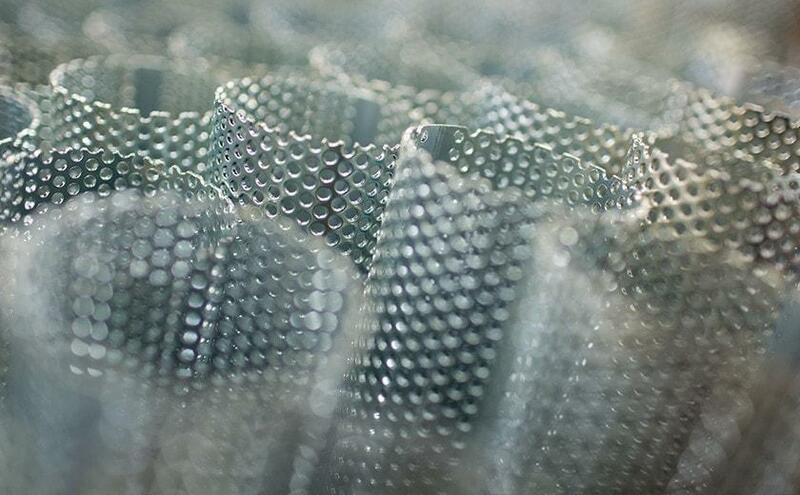 From our home base in Grand Rapids, Michigan, we source materials from DFARS-approved countries and deliver finished perforated products to customers around the world.